Universities how we know them in the West were established in Japan in the 19th century. However, the origins of some of these first universities go back to earlier periods. 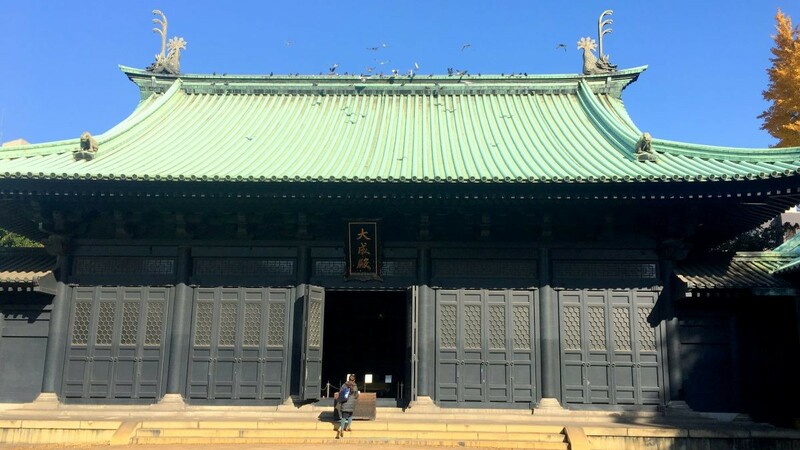 Yushima-seidō (established 1690, its predecessor in 1630) in Tokyo is the birthplace for several renown universities in Tokyo and seen as the origin of all education in Japan. While the term university was not used, the heads of Yushima-seidō were called daigaku no kami, which translated as god of higher learning. The word daigaku (higher learning) is now used as the Japanese word for university. 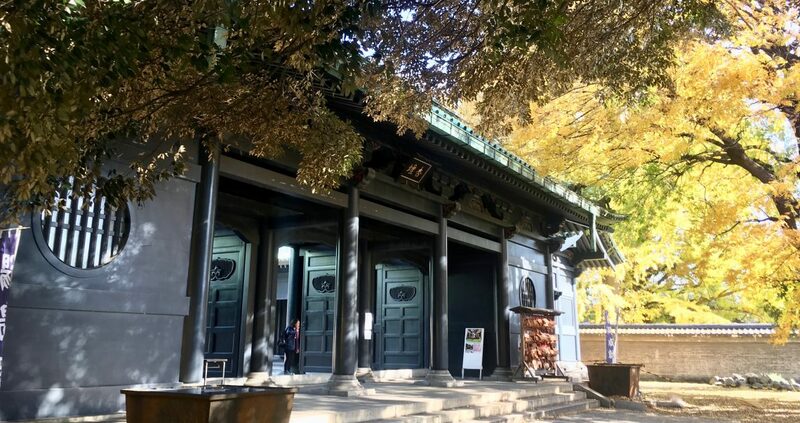 Yushima-seidō is now the most famous Confucian temple in Japan. It is a site for veneration of Confucius and the sages of Confucianism. This type of temple is rare in Japan with only a handful of examples. The black lacquer appearance also makes for a unique sight. The black color was given in 1799 as they believed the black color would prevent fire (that didn’t work unfortunately). 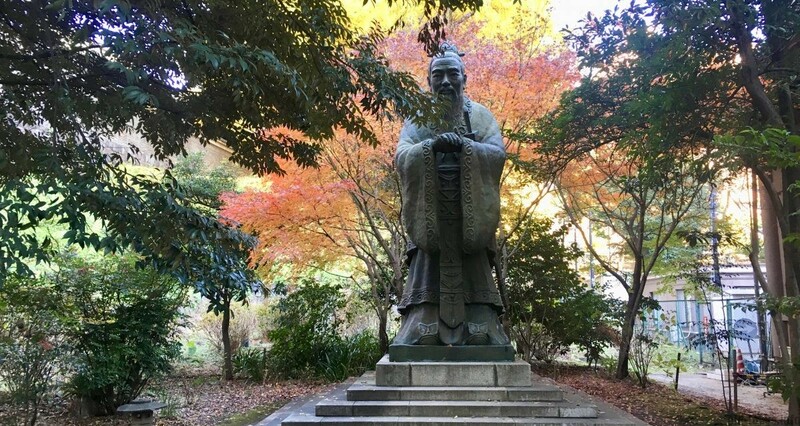 Yushima-seidō functioned as the Hayashi school of Confucianism from the very beginning (after the founder Hayashi Razan 1583-1657). The school turned into a state-run one in 1797. It is often referred to as the Tokugawa bureaucrat training centre due to many graduates reinforcing the Tokugawa Shogunate (1603-1868). Yushima-seidō enjoyed official recognition at the start when the shogun conferred the title of daigaku no kami (god of higher learning) to the school’s head. It became a hereditary title that the Hayashi family held until the end of the school in 1871. Yushima-seidō is seen as the birthplace of several major universities in Japan such as Tokyo University, Tsukuba University and Ochanomizu University (source). The connection to university life is still very strong. 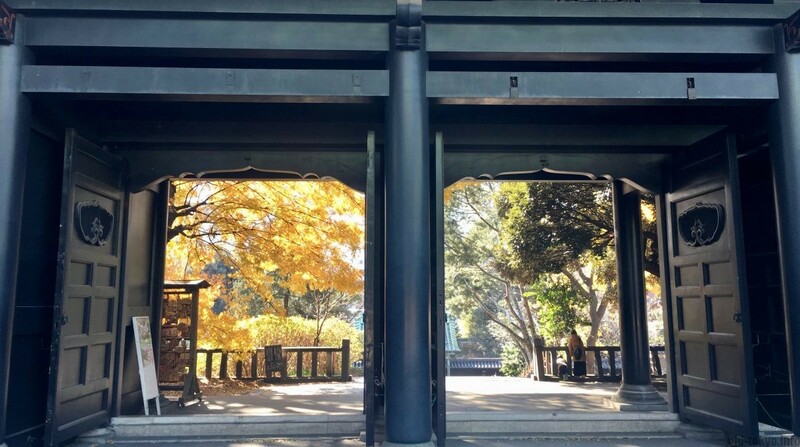 Yushima-seidō, together with the nearby Yushima Tenman-gū are the most important places for (university) students to pray for success in their studies. You will see the wooden plaques (ema) on which students write their wish to succeed, just as at any other shrine in Japan. You see in the middle of these ema in big the characters 合格 (gōkaku, which means passing a test). Nyūtoku Gate: the first gate you pass on your way to the main building (Taisei-den), it is the oldest and most beautiful one, built in 1704. 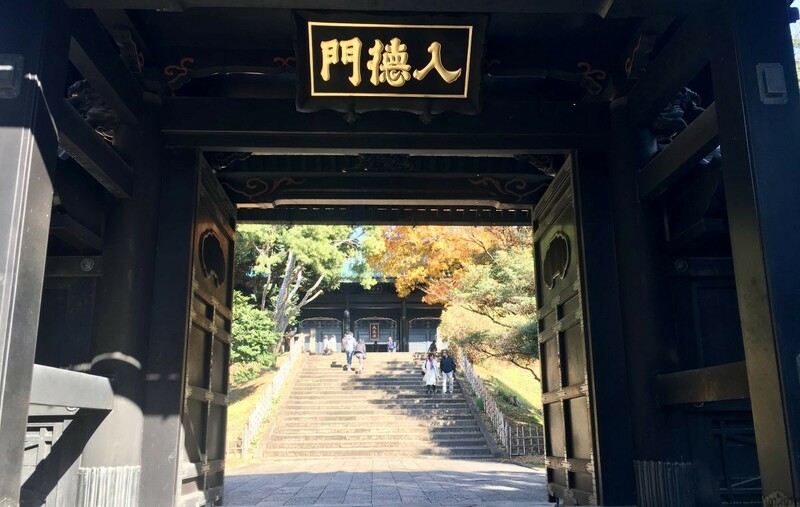 Kyōdan Gate: After you pass through the Nyūtoku Gate and climb the steps you encounter the Kyōdan Gate, which marks the location of the old premises before 1797. In English this gate’s name translates as plum platform gate. This names comes from the platform surrounded by plum trees that Confucius used to teach from. Taisei-den: after an open courtyard you see the main temple building, rebuilt in 1935 after it was destroyed during the Great Kanto Earthquake of 1923. Inside are a Confucius statue, along with statues of the Four Sages (Yan Hui and Zengzi, who both were disciples of Confucius, and also Zisi, grandson of Confucius and Mencius who was seen as the second Sage, right after Confucius). Visting Yushima-seidō is free, except for the main hall in the Taisei-den (only open during weekends and holidays). If you enter the Taisei-den you will get a pamphlet (also in English) explaining the site’s history and different building and gates, but there is little explanation about the statues and items you see in the room. The whole complex is walled and you can enter either from the hijiribashi bridge side (west side) or the main gate (east side). I recommend getting in from the bridge side, as the main gate first takes you along an rather plain looking office building. Taisenden is only open during weekends and holidays and January 1-4 from 10:00. Closed 13-17 August and 29-31 December.